Local radio often gets a bad press; I blame Steve Coogan. If Alan Partridge wasn't the figment of some smart alec Mancunian's imagination you'd think BBC radio out in the provinces was full of identikit jocks playing the same golden oldies from an identikit playlist. Thank God then for stations like BBC Radio Leeds, home of respected broadcaster Martin Kelner. Martin, it would be fair to say, has been around the block a few times. 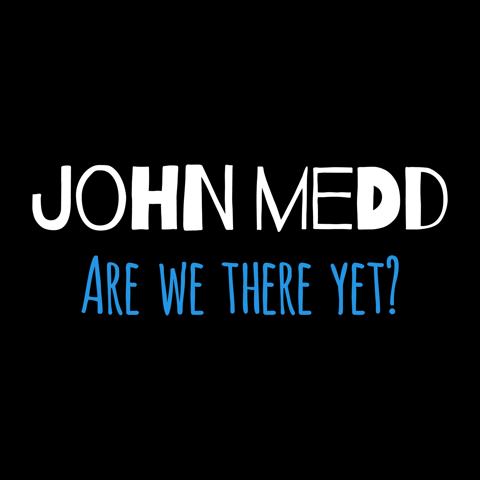 Apart from the aforementioned gig at Radio Leeds he's on Five Live's Fight Talk and back in the nineties could be heard nationally on Radio 2; sometimes depping for Wogan, but more often than not on his own late night slot on the nation's favourite network. 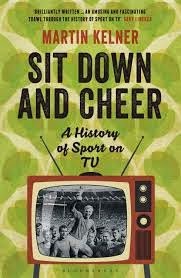 He's passionate about sport too and used to write a very engaging column, Screen Break, in The Guardian as well as writing a well received book on the history of sport on TV - Sit Down and Cheer. He's recently moved his typewriter to The Racing Post. So, no slouch he: a voracious blogger and podcaster too and, back in the day, gave Caroline Aherne a springboard for Mrs. Merton with weekly comedy sketches on his Piccadilly Radio show in Manchester. Matin kindly agreed to answer a few quick fire questions for the blog. Talking for a living or writing for a living: what feels more comfortable – being in front of a microphone or a hunched over a keyboard? I much prefer the radio for the immediacy of it. I find writing a struggle. It is however satisfying when you have crafted a piece and it has worked out well. In your memoir, When Will I Be Famous, you likened working in show business to cleaning up after the circus elephant. It was just a joke really! Were you at Radio 2 when it was still pipe and slippers or had they started morphing into what it is today? Who did you look up to when you started in radio? Mainly comic figures; the Round The Horne people, and the cast of I'm Sorry I'll Read That Again. Is writing about sport better than playing it? It all depends on the level you play at. I played football for various junior clubs and on those rare occasions when I played a blinder it certainly beat writing about it. I heard you and Danny Baker had a bit of a set to. Not really. I had a bit of a go at his last show on Radio London, which I thought was self-indulgent - and still do - and Alan Davies got the wrong end of the stick, thinking I was attacking the great man per se, and rushed to Twitter, as he has done on other occasions rather unwisely. Danny himself never reacted. It says on Wikipedia you're a singer. Different Martin Kelner, a Spanish artiste I believe. Though you should hear me in the shower. Have done some karaoke - Do Wah Diddy Diddy, song of choice. And that you discovered Mrs. Merton. Do you still read The Guardian? On a Saturday always. Occasionally midweek. Writing for the Racing Post, you must have tips coming out of your ears? Hmm. It's picking the winning ones that counts - a trick I haven't mastered yet. You're a northerner with roots in Manchester and Leeds. Do you think London's getting too big for its boots? Economically, definitely. But I'm not alone in that, both Government and opposition are promising a boost for the North post-election.